The Rosto Festival of the Fleeces in Merriwa will celebrate its twenty-sixth year in June 2016. 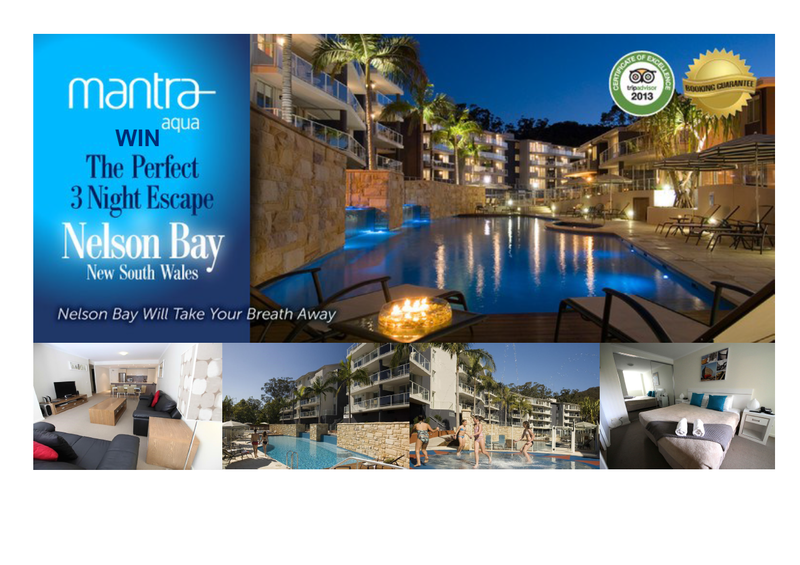 This year the major prize in the raffle is the perfect three night escape in a two bedroom pool side unit at the Mantra Aqua Resort in Nelson Bay valued at over $1,300. The prizes don’t stop there; the committee have five prizes up for grabs. The second prize is a one night stay at Strathearn Park Lodge valued at $200, followed by a fully packed whole lamb cut up by Max’s Country Cuts donated by the Campbell Family of Merriwa for the third prize, valued at $200. The fourth prize is a Hunter Belle Cheese voucher and a bottle of boutique Orange Rose’ from Small Forest Wines valued at $80. The final and fifth prize is a cheese platter for two and two glasses of wine at the Vines Restaurant, Hollydene valued at $40. Committee chairperson and Upper Hunter Shire Councillor Deirdre Peebles said that you have to be in it to win these fabulous prizes. “Tickets are on sale now for $2 each or three for $5 and can be purchased from the Merriwa and Scone Visitor Information Centres and Council Offices. Tickets will also be sold at the Rosto Festival of the Fleeces street stall in Merriwa on 29 April, 2016. The raffle will be drawn on Friday 10th June, 2016. Winners will be notified via local media outlets and social media. The Festival will be held from Friday evening, 10 June 2016, until Sunday morning, 12 June 2016. The highlight of this community run event is the Saturday’s Festival Parade lead by a mob of around 300 sheep sporting red socks! Some of the other favourite events include the opening night fashion parade – Fashions of the Fleece, sheep yard dog trials, shearing demonstrations, a Bush Poets breakfast featuring the current National female bush poet Robyn Sykes, wool spinning demonstrations, felting exhibitions, educational displays for children including Croc Stars reptile show, a petting zoo, fairground rides and a spectacular “KaBoom” fireworks display on the Saturday evening. The Australian Wool Industry hosts a fashion parade of quality woolen garments, as seen at Australian Fashion Week, complete with live entertainment with a fantastic band to get your toes tapping. The Festival celebrates rural heritage and particularly the past and present importance of the wool industry. It is the largest event for the Merriwa district bringing over 5,000 people to Merriwa each year including tourists from all over the state who come to experience country hospitality and an authentic rural festival. The Festival would like to thank all of their sponsors for supporting this fantastic event.